Gapseal® Temporary Plugging Compound for plugging punctured drums or vessels. * Ideal for dealing with used oil in fleet maintenance locations. DIRECTIONS: 1. Wear personal protective equipment compatible with chemicals involved. 2. Remove GAPSEAL® from the container. 3. Form a ball with gloved hands. 4. Apply GAPSEAL® ball to leaking area. 5. Properly transfer and/or clean up the leaking liquid and place into safe containers. 6. Do not return used GAPSEAL® to its original container. 7. Tightly seal the original container when finished. 8. Dispose of all used articles according to local, state and federal regulations. NOTE: GAPSEAL® products, when used properly, will withstand five (5) p.s.i. of head pressure. GAPSEAL® Universal/Low Temperature Plugging Compound must be stored at temperatures below 1200 F (490 C) at all times and has no shelf life providing the container has never been opened. Once the container has been opened and the GAPSEAL® has been used, the product may dry out if the container has not been tightly sealed. 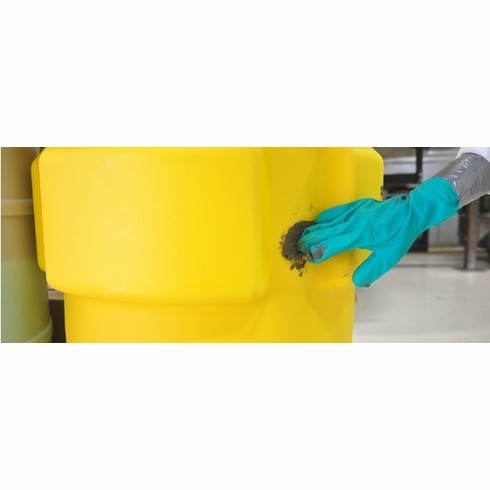 WARNING: GAPSEAL@ Temporary Plugging Compounds are to be used as a temporary method of stopping leaks and spills and must be used in conjunction with secondary containment devices. It is strongly recommended that GAPSEAL@ not be used for more than 12 hours or be left unattended GAPSEAL@ for Hydrocarbon Spills is not recommended for use with strong oxidizers, bases or acids. Wear personal protective equipment compatible with chemicals involved.Pour enough water (approximately 5.5 oz. per one pound dry mix) into a mixing container.Slowly add dry mix into the water until there is no free water visible.Mix together until a consistency of mud is formed.Remove activated GAPSEAL® and form a ball in gloved hands. Apply GAPSEAL® ball to leaking area. Properly transfer and/or clean up leaking liquid and place into safe containers.Do not return used GAPSEAL® to the container.Tightly seal the container when finished.Dispose of all used articles according to local, state and federal regulations. NOTE: GAPSEAL® products, when used properly, will withstand five (5) p.s.i. of head pressure.